A quarterly Welsh language periodical that served the churches and Sunday schools of the Conwy Wesleyan Methodist circuit. The periodical's main contents were religious articles and news from the circuit. The periodical had three editors, Evan Davies, Thomas Owen Jones (Tryfan) and Evan Jones. 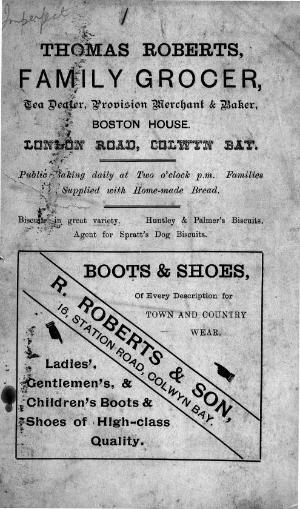 Associated titles: Y Cyhoeddwr (1901).